As EoW says, this is a complete non-surprise. State Rep. Dan Gattis, R-Georgetown, has just informed supporters he is running for the Texas Senate District 5 seat being vacated by Bryan GOP powerhouse Steve Ogden. His Web site and Facebook page also say he is running. Yeah, even people who don’t follow politics knew that was coming. Gattis is sure to be the favorite, and he appears to have Ogden’s support, at least tacitly, but I feel confident that the Dems will mount a serious challenge. As noted before, the district is red but not hopeless, and as open Senate seats don’t come along that often, the opportunity cannot be missed. If the DNC really is serious about helping to turn Texas blue, here would be a fine place to pitch in. Gattis’ now-open HD20 seat, like SD05 red but potentially competitive given the right candidate and the lack of an incumbent, should also be a hot target next year. Along with the battle to defend freshman Rep. Diana Maldonaco, who is one of our awesome TexBlog PAC candidates, Williamson County and its resurgent Democratic Party will see a lot of action next year. With the motto of “Why should Texas Monthly have all the fun?”, Harold Cook and Ted Delisi have put together their own Ten Best Legislators list, with the twist being that Cook picked the Republicans and Delisi picked the Dems. It’s an interesting and thoughtful list, but I’d bet their Ten Worst list, with each picking from their own party this time, would be a lot more fun. What say you, fellas? In related news, as BOR notes, all four of the freshmen that had been endorsed by the TexBlog PAC were honored as outstanding members by different groups, and Houston freshman Rep. Kristi Thibaut was named House freshman of the year by the House Democratic Caucus. Click on for her press release on the subject. Congrats to all the winners! 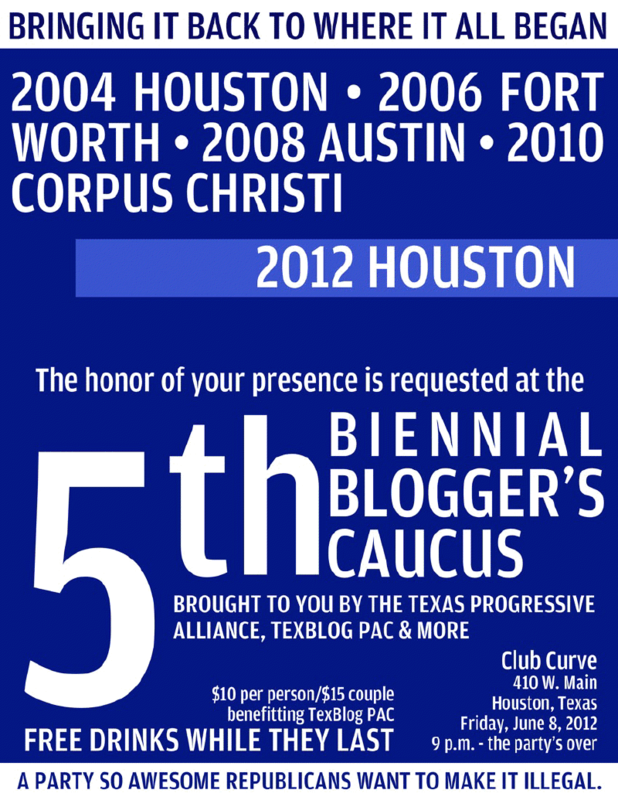 The following is a message from the TexBlog PAC and my much younger colleague, Matt Glazer.